Jatiwangi / The Scent of Jati Trees is a collaborative portrait of the Jatiwangi Art Factory (JaF), their life and work in West Java, Indonesia. The film offers moments of village life captured in a series of 100ft 35mm film rolls, each of which unfolds against a single unedited field recording. 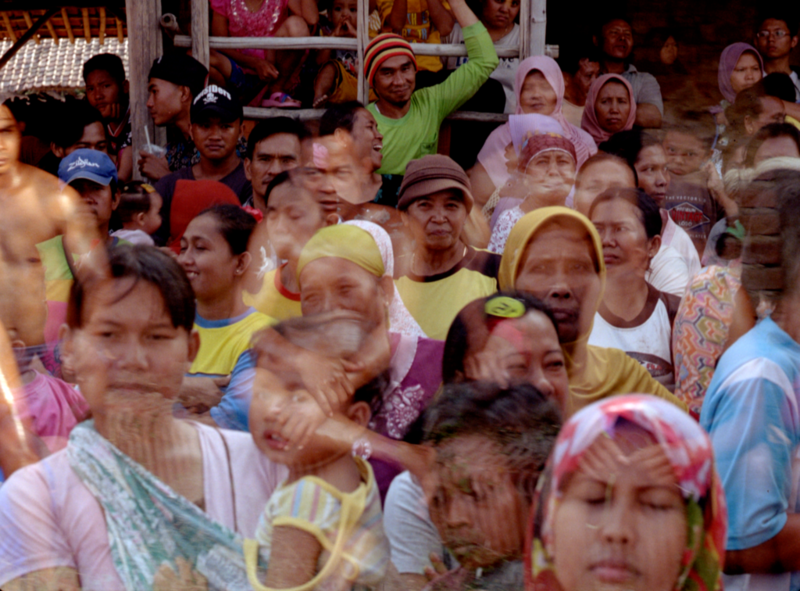 Playing with possibilities of synch sound and in-camera editing, the film was made with large cast of local collaborators and performers from school children to factory workers, organic rice farmers to ceramic musicians. 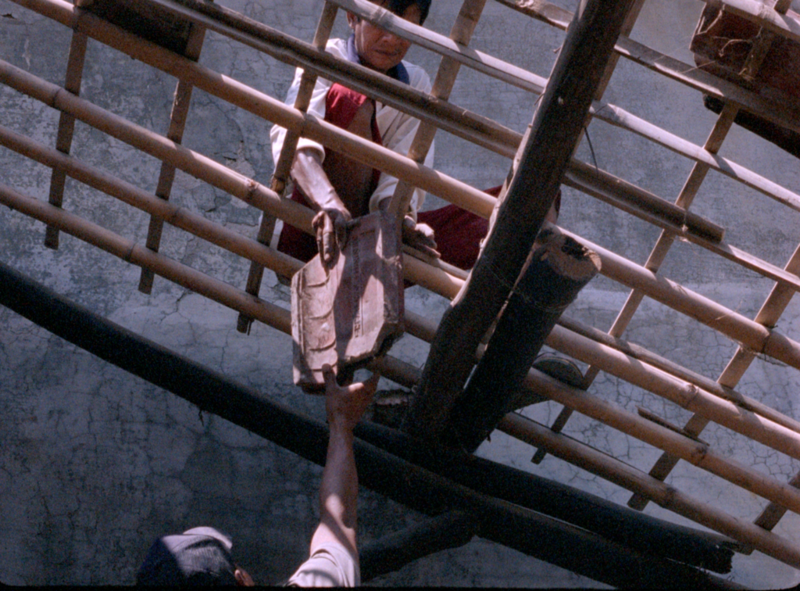 Each sequence was produced with a different group, reflecting the participants to present an unadorned document not only of the transformations and rebuilding of the art factory but the operations of the performative communities that criss-cross the villages were JaF members live and work. 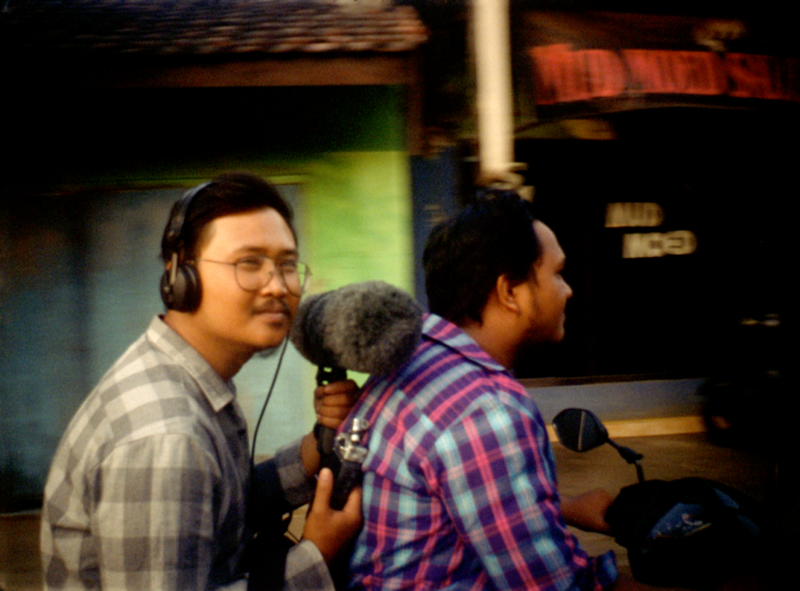 The film proposes an open form to experience Jatiwangi’s model of embedded art practice, attempting at once to trace the elusive scent of the local Jati Trees and learn from their practice of ‘kajian kehidupan lokal’ or ‘the discourses of local rural life’. Filmed with help from Tamyiz Noor Ramadhan, Pandu Rahadian, Alma Nöxa, Josette Chiang, Tedi Nurmanto, Ismal Muntaha, Aris Wandi, Bunga Siagian, Kiki Rasmadi Permana & Maman Suherman.